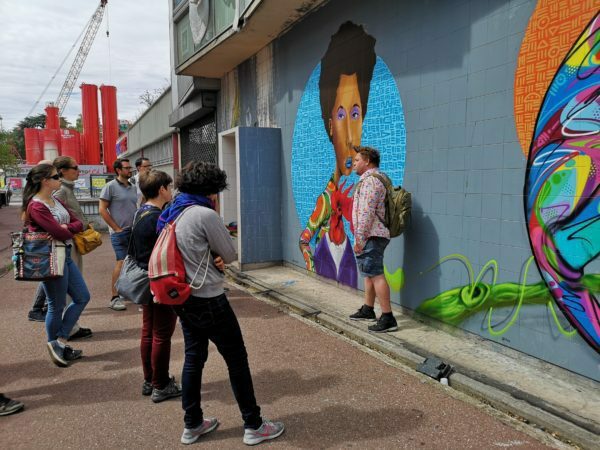 If you are interested in organizing a private cultural tour off the beaten track with great guides eager to share their enthusiasm and knowledge of the Parisian street art scene. You are looking for an exceptional activity for a big group, for your association, for your company or your institution. You are a teacher who wants to offer an innovative and motivating cultural journey to your students. This is the right place! Read more about our available paths here. Please fill in the following contact form precising your project and we will get back to you with propositions suiting your requirements!